Akshaya Patra received Silver for its Annual Report 2013-14, 'The Fab Five Superheroes' at the International ARC Awards 2015 under the 'Foundation' category of Non-Traditional Annual Reports. The organisation also received Grand Award Winner position for the Best of International category (Mid-East/India). 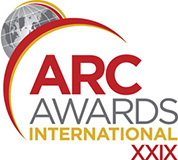 The ARC Awards is the world's largest international competition honouring outstanding achievements in annual reports. This year the awards received 2,065 entries across 35 countries. The Annual Report 2013-14 is not just an account of progress made during the last year, but a testimony of the transformative power of nutrition and education narrated through the real stories of five superhero kids who are rising above all odds to prove themselves. The reports entered were judged on the basis of the organisation's story, creativity in expressing the contents, effectiveness and clarity of thought. The Foundation has also successively won the Gold Award in 2013 and 2014 for its annual reports. Read more about the award here.